Email marketing is one of the few marketing channels that allows you to engage with your audience directly. Charge Media Group can help you to increase client subscriptions and reach them with information that they will find valuable. High-quality content marketing is one of the services we take pride in at Charge and we would love to help you reach your audience with this highly optimized and valuable content. Why Include Email Marketing as Part of Marketing Strategy? 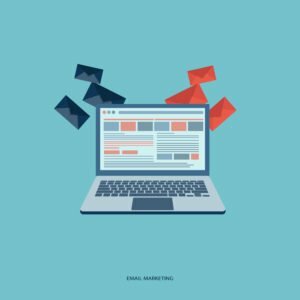 As mentioned above, email marketing is one of the few marketing techniques that allows you to engage directly with your clients and prospects. Being able to send calls to action directly to your consumer is a priceless tool in the marketing arsenal. By optimizing your email subjects and messages, we can maximize the amount of open and read emails that you will see from month to month. We are able to develop a fan base around your brand by notifying clients of published content other updates that are important to them. Calls to action will bring traffic to the website and lead to more conversion opportunities and lead generation. We don’t just set it and forget it. We provide robust reporting to go along with our clients’ campaigns. CMG can show how effective your email marketing campaign is in real time. By tracking hits to your website and other associated analytics, we can let you know what is working and what isn’t within days of an email blast going out. Using this data, we are able to gear future creative around past successes. Charge Media Group will impact your consumers through email marketing advertising. Successful marketing campaigns help to build customer loyalty, trusted products, and brand awareness. Empower your marketing ROI by sending emails and building relationships with your customer. Contact us for business marketing solutions to engage subscribers and get results!